I’ve seen these “I Have, Who Has” card games circulating the internet a lot lately, so I decided to make my own version for Pre-K to teach shapes (see download link at the bottom of this post). I used these in my class last week at Small Group, and the kids are still enjoying them in the Math Center at free choice time. I wasn’t sure if they’d like this game or not, but they love it! I added symbols to help the children read the cards. For “I have” there is a picture of an eye, and for “Who has” there is a picture of an owl (since owls say “whoooo”). To play the game, deal out all of the cards to all of the players in the group. They figure out pretty quickly that it’s best if they lay all the cards out where they can see them. Since this set has so many cards, it works best with a group of about 5 kids or more (and I gave some cards to myself so I could play along with them). The first player chooses any card and reads it. For example, “I have a red square. Who has a green triangle?” That child places that card in the basket, and everyone looks at their cards to see if they have a green triangle. The person who does then says, “I have a green triangle. Who has a yellow rectangle?” That child places that card in the basket, and so on. Play continues until all of the cards are in the basket. Since I have some children who are still struggling with shapes, especially rectangle, I used this to help reinforce shapes, and I added diamond (rhombus) and oval to the four basic shapes to make it more interesting for those kids who already know shapes. As we played, there were some children who came across a shape they didn’t know, and when that happened, I said the name of the shape, and they repeated the name of the shape as they read the card, “Who has …”. So, there was constant reinforcement of shapes they needed to learn, and it worked! I noticed after several repetitions of the same shape, children did not need to ask me when they came across it again. Note: This printable is free, just click to download. Thanks so much! “I have, who has?” is a great game for ESL students, which are the majority in my class. So fun! Can’t wait to try it with B. Thanks for sharing! Thanks so much for sharing! I can’t wait to play this with my class. It’s so simple yet covers so many skills that we need to review this time of year! Thank you so much for sharing the game cards to be printed out. My head is buzzing other concepts to adapt this to. What a fun game! I wonder what else (besides shapes) we could do this with… will have to give that some thought. Thanks for the inspiration!! Thanks so much for all your work and sharing your successes with us too! My class loved playing this game on Friday! I divided by class of 15 into two groups and it worked out beautifully! My class played this last week and liked it. I didn’t know how much they liked it until they kept asking for the “eye who” game. I took me a few minutes to realize what they were asking for. I made a version for reviewing the alphabet but they all told me that yours was better. I would love to use your templete to create more of these games to review other skills. Loved the game. Made one for my pirate week and the kids loved it! Instead of having the kids place the cards in a basket I’m having them use them like dominoes on their turn. They love it, thanks for a great game! Looking forward to trying this game with my group. Thank you! My class loved this game!!! We played small group and large group. I would love to make all different kinds letters, numbers…endless possibilities! Thanks so much for sharing- would you consider posting a blank page- to make our own? I love the eye and the owl!!!! Thanks, Alli! I’ll keep that in mind. thanks so much for sharing your ideas and pics. they are helpful to me in so many ways! My students absolutely loved this game. I also am anxious to make a game of this format to practice other skills. Thanks for all your fantastic ideas. Thank You for sharing this game,I have made the 3d shapes like this as well.The children love it and learn the aspects so much faster. Thanks, Ronel! Glad you like it! this is great! do you have a I have/who has game for numbers or letters? I have what is probably a silly question, but would you laminate these before or after you cut them out? I cut out first, then laminate, and cut out again. It would be much easier to laminate then cut, and save a step… however, the lamination tends to peel if done that way. So, cut, laminate, then cut, making sure to leave a seal around it, makes them more durable. My Pre-K students absolutely loved this game. Thank you so much for the cards. I plan on expanding to use with letters and/or numbers. I’m just wondering how many cards each child should get? What worked best for you? It’s been a couple of months now since we played it and I can’t remember how many cards. I would think each child should probably have at least 4 cards. They could have more, but probably not too many. I believe my groups last year had 5 kids. They also really enjoyed playing the game at free choice centers, and sometimes they might only have 3 kids in their group and they made it work just fine. Thank you so much for sharing this! I loved playing this game with numbers, letters etc! Thanks, Genevieve! I’m planning to make and post one with letters sometime as well. I love this game! Thanks for posting. I made a simpler version for my students who are struggling. It has only black shapes of the eight basic shapes. I pull four students at a time, and they each only get two cards. I find focusing on only one attribute helps when they are struggling with their shape identification. Thanks for sharing your idea, Andrea! This is such a great game!! I played this with my math intervention group and the children loved it! I have seen so much progress in their ability to name shapes! I love this game. Even my first grade son loves it! You website is a valuable resource and I thank you so much for sharing all your ideas and printables with us! Anyway you would consider making these cards for letters and/or numbers too? Such an awesome idea! Hi – my kids love this game – so much giggling – especially if one of them ends up with the card that’s being asked for. But once in a while we end up asking for a shape that’s already been called – is there a certain card that should ‘begin’ the game each time? Thanks so much for the cute idea! Thank you for sharing this activity! My students love it.! Wow, this is genius! 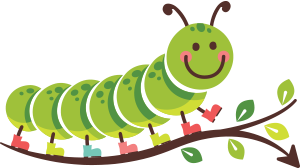 I am loving your website for summer school ideas for my children. Thanks so much for all your ideas/resources. We are having a ball utilizing several of them. This was a great idea. I was looking for a new way to work with shapes! thanks! Going to do this today. Great idea! Can’t wait to use it next week! We love this game – do you happen to have it with numbers? I have 1, who has 2? Yeah, great game, my kids loved it too… I was wondering the same as Leslie, do you have it with numbers??? I’ll add a numbers game to my list. Thanks for the suggestion! Wow! I love all your great ideas! 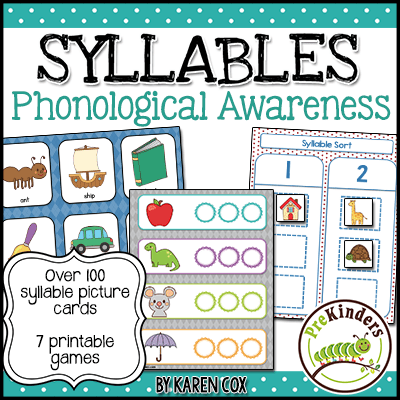 Thank you for sharing ….I am looking forward to using these with my kids in school! hi Karen … this site is cool. I love to use ur ideas for my 3 years old boy. Would love this game with 3-D shapes! (sphere, cone, cube) etc.! Thanks for sharing. You are always an inspiration! This game looks so fun. I just downloaded it to try w/ my kiddos. THANKS so much! I am preparing for a training I will give to pre-K teachers in a remote area in the Philippines. I came across your website. Bless your heart for openly sharing. I love this! Thanks so much for sharing. I can not wait to use these cards with my pre-K 3 students! They are beautifully designed. Thank you for sharing. LOVE your blog. Thank you so much for the great idea you shared. It helps a lot …God bless! Thank you for this game! The first few times my students played this game, I made sure each student had to focus on the same two shapes. As their ability to recognize all of the shapes across the class improved, I randomly distributed the cards. Glad you like it, Keva. Great plan for helping them learn. What I like about this other than the academic review is that it gets the kids to talking. I teach in a preschool setting and these young ones don’t always want to talk even though they love the games I have. Thank you. Thank you so much for sharing. This will help our classroom so much!